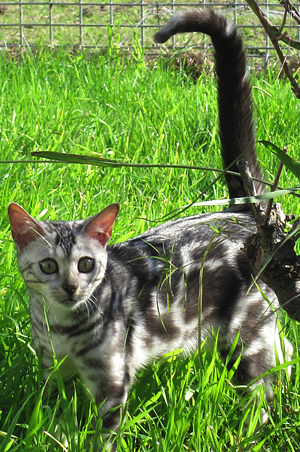 We love talking about Bengals, and provide lifelong support to the new families of all our former kittens and cats. So whether you’re interested in adopting an adorable kitten or adult Bengal as a pet … seeking a stunning new Stud or Queen for your breeding program … or simply need advice about your current Glenparth Bengal … don’t hesitate to get in touch! Simply fill out our form below … or call Rebecca on 03 5773 2262.